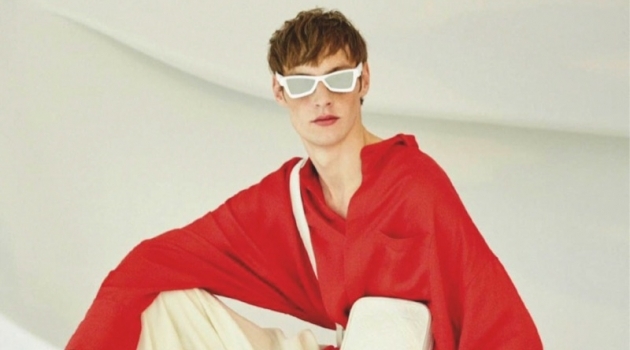 Simons enlists Lono Brazil to don sharp styles from its latest men's offering. 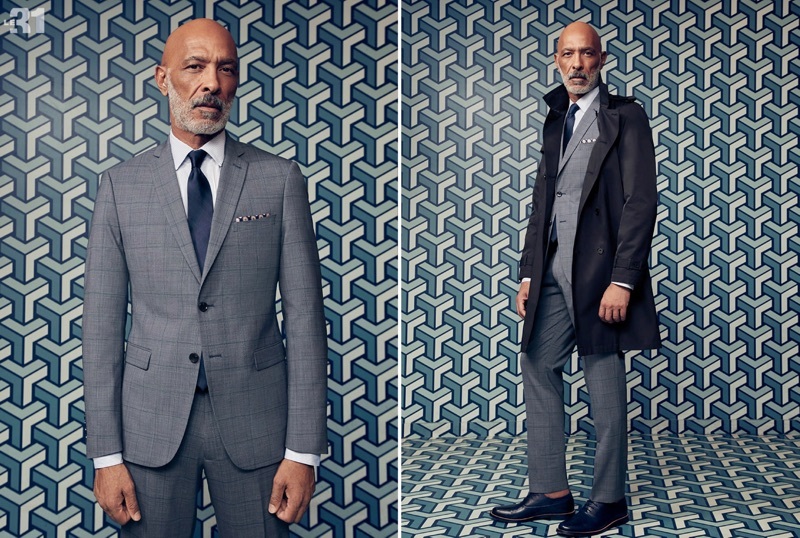 Simons goes traditional and makes a case for sharp suiting that's perfect for the boardroom. 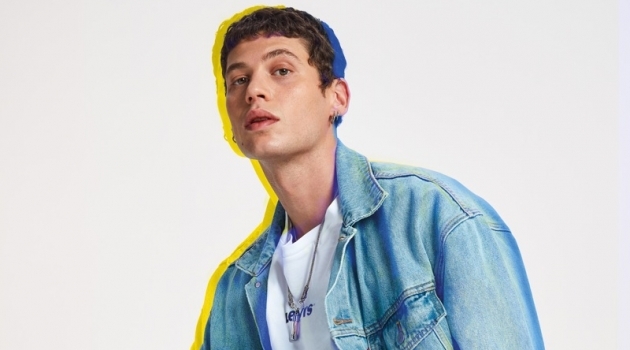 Model Lono Brazil links up with the retailer as the star of its sartorial lookbook. 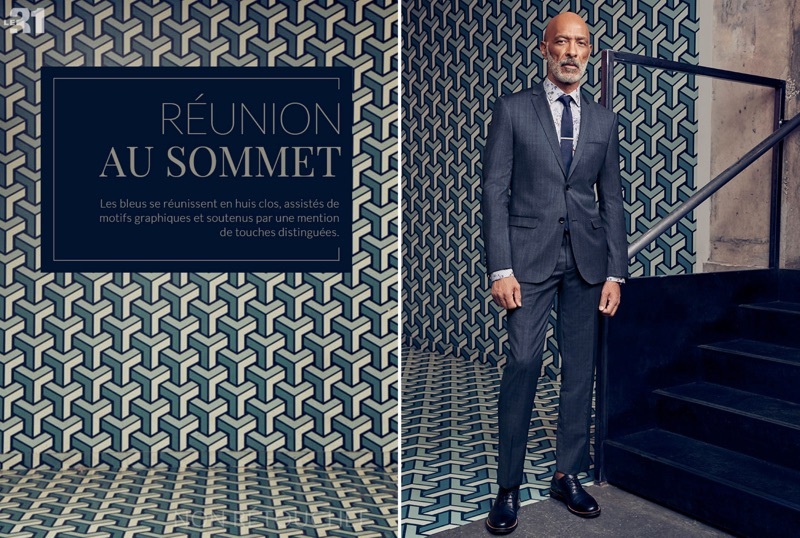 Shades of blue and grey dress a dapper array of suits from Simons' in-house brand LE 31. 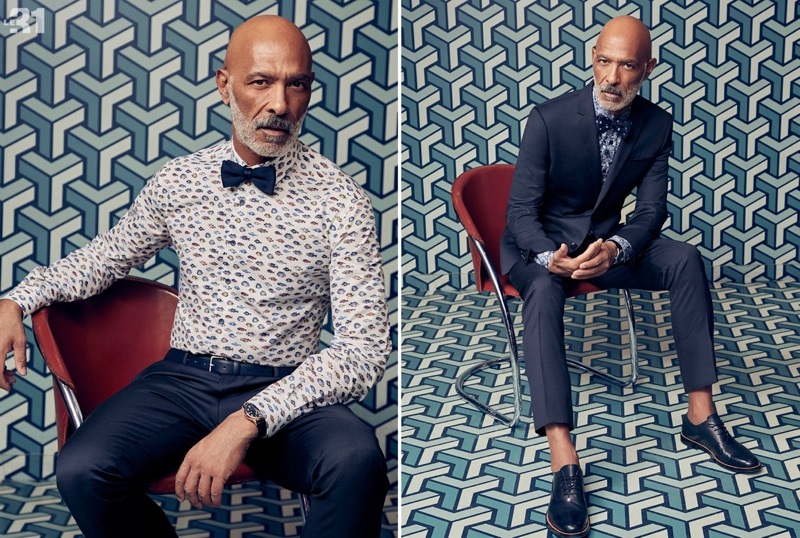 The elegant wardrobe is accompanied by knit ties and bow-ties, as well as patterned dress shirts. Elegant footwear from Simons and Steve Madden joins the mix too. If you're worried about the days you're not in the boardroom, Simons proposes a structured jersey jacket with distressed denim jeans. Lono Brazil is a sartorial vision in a LE 31 chambray check suit and knit tie. Left: Lono Brazil sports an exotic fish print shirt by LE 31 with the brand's trousers, knit bow-tie, and Saffiano leather belt. Right: Lono dons a LE 31 suit and floral print shirt with Steve Madden derby shoes. Connecting with Simons, Lono Brazil wears a LE 31 double collar striped shirt, geo check tie, and chambray check suit with a Saffiano leather belt. Offering a smart casual look, Lono Brazil wears a LE 31 structured jersey jacket with faded whiskered jeans. He also sports a Robert Barakett pima cotton t-shirt and Simons suede derby shoes.